Sakura Watch, May 15, 2013 - These late blooms are also sakura - did you know there are a few varieties High Park? 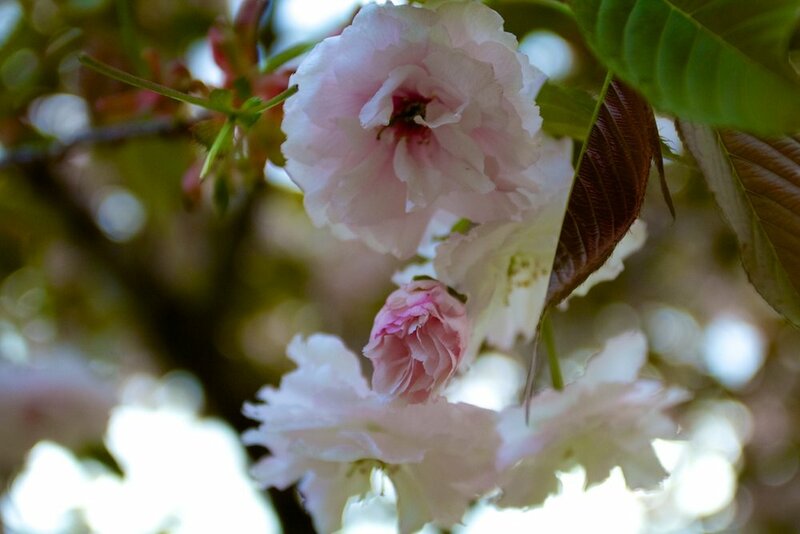 The Akebono and Fegenzo varieties bloom later than the cherished cherry blossoms everyone loves to see, but these flowers possess a beauty all their own! Much larger and fuller in size, these blossoms also begin from deep pink buds and open into large white petal flowers with a few layers of petals to give them their substantial fullness and unique beauty. 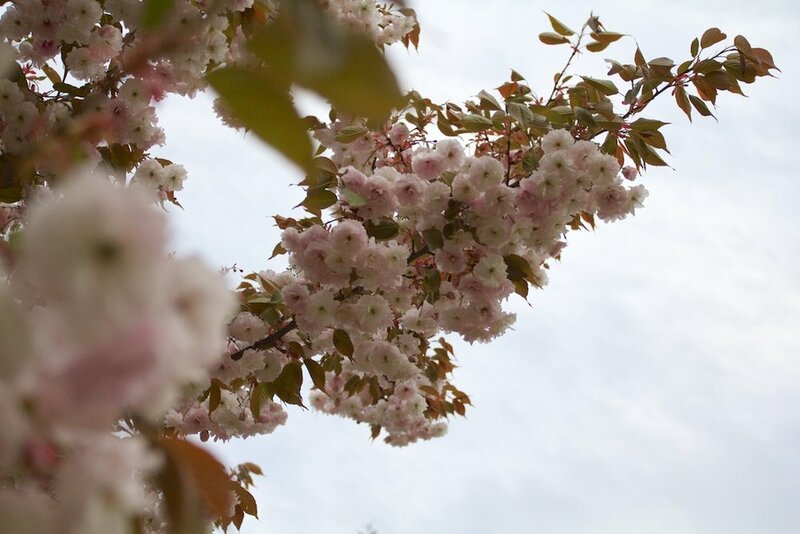 The Akebono and Fegenzo tend to last longer than the standard cherry blossoms at approximately 2 weeks, and these began to bloom over the Mother's Day weekend. 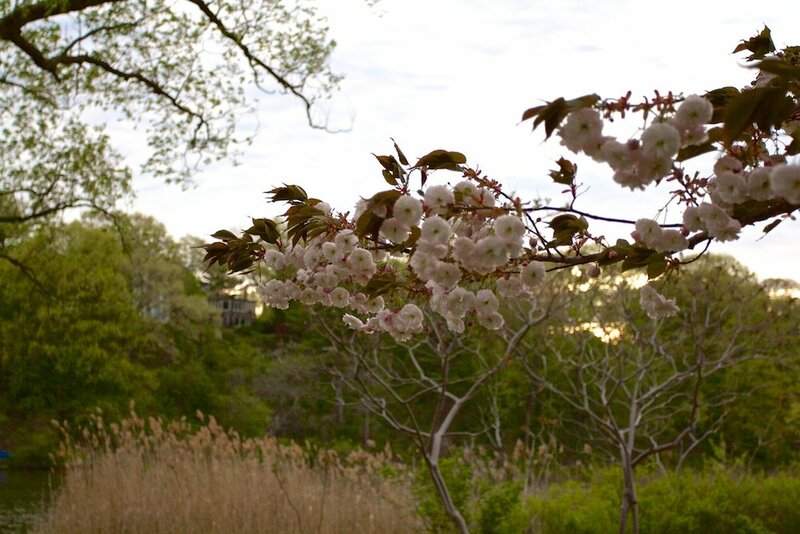 You can find these in 2 areas - a grouping of 3 trees at the bottom of the hillside path near the pond, and also a group of 6 trees along the edge of Grenadier Pond at the bottom of Hillside Gardens. Hope you enjoy these sakura in a much less crowded park!